Scalar Decisions (Scalar), the Toronto-headquartered IT solutions provider, announced today that they have been named DataStealth 2017 Partner of the Year, Enterprise Security Solutions. 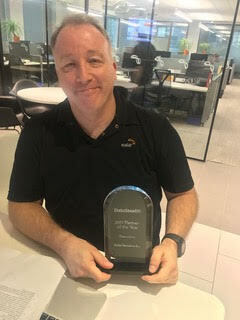 Scalar receives this award for their security offerings, technical expertise, and strong engagement with the DataStealth team. Scalar’s team of security experts includes 82 full-time professionals and 60 security consultants with over 431 security certifications. Scalar runs a 3,000 sqft 24x7x365 Security Operations Centre. Datex is a global software company, based in Toronto, Canada. Datex’s flagship solution, DataStealth, helps companies simplify regulatory compliance requirements, and eases the burden of risk mitigation. Datex is backed by a leadership team of industry veterans with a proven track record of success and innovation. Scalar is Canada’s leading IT solutions provider, focused on security, infrastructure, and cloud. Founded in 2004, Scalar is headquartered in Toronto, with offices in Montreal, Ottawa, London, Winnipeg, Calgary, Edmonton, and Vancouver. Scalar was recently named to CRN’s 2017 Solution Provider 500 List and listed on the PROFIT 500 for the seventh year running. In addition, Scalar was deemed a major player in the IDC MarketScape for Canadian managed security service providers and ranked the #1 ICT security company on the 2014 -2017 editions of the Branham 300. For further details, visit www.scalar.ca or follow Scalar on Twitter, @scalardecisions.